Hi friends! Today I want to talk about home offices. Regardless of whether you are a stay-at-home Mom or have a career, it is really important to create a space for yourself to take of business. Sometimes this space is in a traditional office – other times it’s a room in our home – or even a tiny workspace in the kitchen. It doesn’t matter where it is located, or how much space you have. What matters is that it is command central. A place to logon to your PC, read/respond to emails, make phone calls, take notes and manage your calendar. I have a lot of friends who are stretching their wings and seriously contemplating going back to work, starting their own business, or putting in more hours to whatever job they are currently doing. Many of them operate their business from their mobile phone and a notebook, but that will only get you so far. 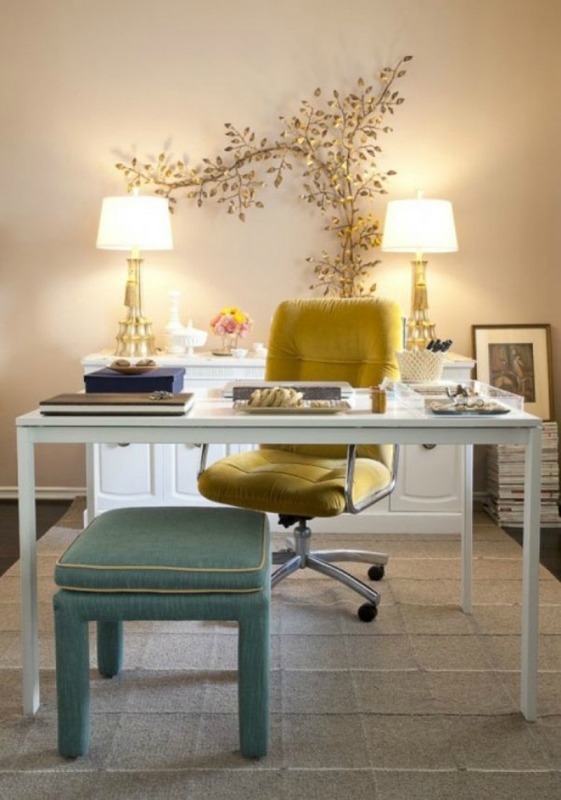 If you are serious about being successful, a dedicated home office plays a vital role in not only keeping you organized but also making you feel more professional. 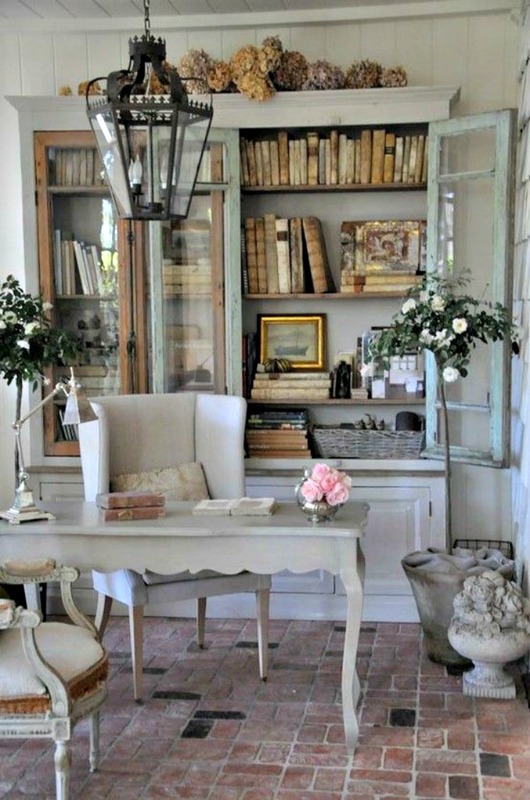 It is important to stress that a dedicated room for your home office, while ideal, is not necessary. 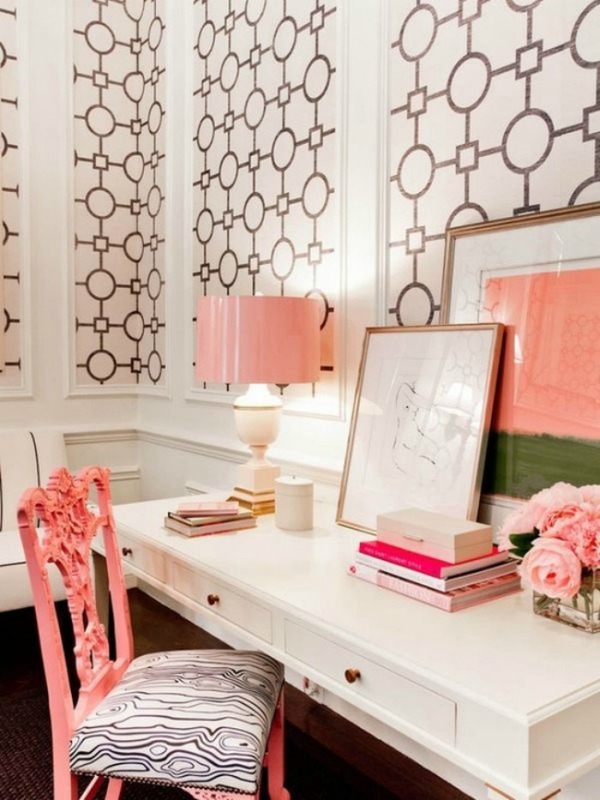 You really need a few key elements to design a space that reflects your intention on growing your business, but also is glamorous! A desk, chair, printer (preferable bluetooth so you can also print from your phone), file cabinet, lamp, personal computer, mobile phone and some pretty accessories are all the fundamentals you need. 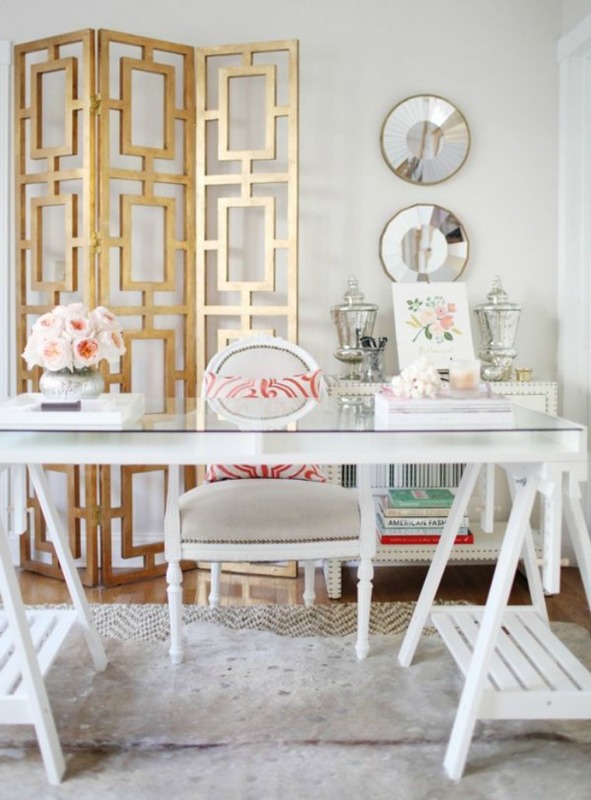 Below is a roundup of some glamorous home offices that I hope will inspire you to create a space in your own house to start 2019 with a fire in your belly. After you scroll through these, CLICK HERE to go to my Pinterest Board with almost 250 images of offices that will make you want to start your own business just because these offices are so GORG! 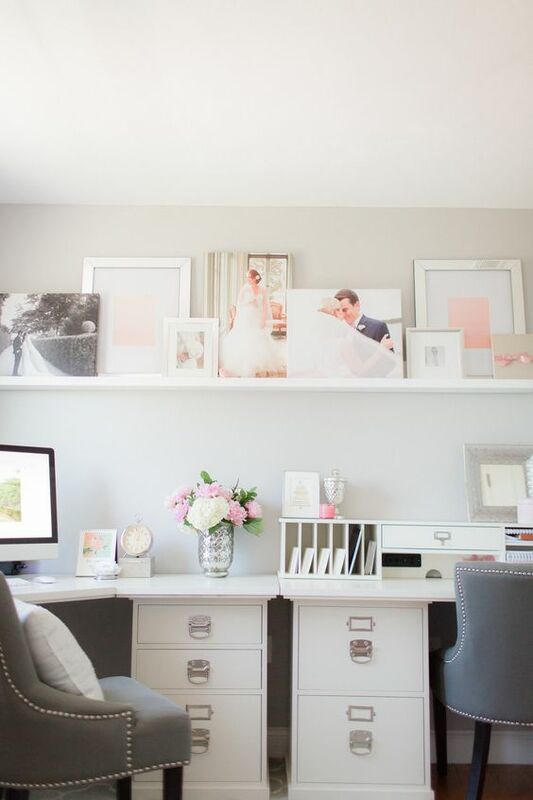 In addition to really pretty offices, this board contains ideas and inspo for book shelf organizing, office furniture, and essential office organization tips. Want more inspo? 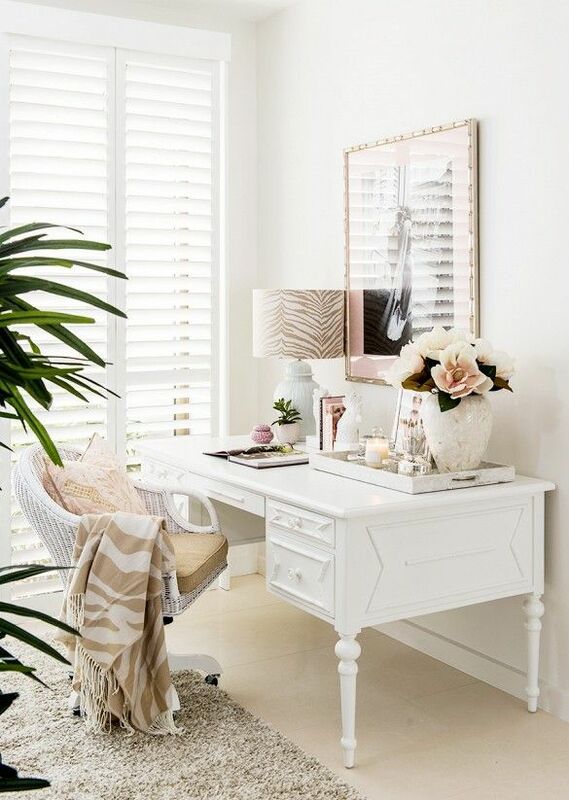 CLICK HERE to see my Office Pinterest Board!